Aside from the goofy name on this week’s Nintendo Download, the haul is actually incredible if you’re a fan of old school style games or classic feeling RPGs. Otherwise, there are a number of sales going on for Halloween using My Nintendo rewards. These include The Legend of Zelda: Majora’s Mask 3DS for 40 percent off and Xenoblade Chronicles 3D for 40 percent off. These are both great games, so the download is well worth it. Now, it wouldn’t be a Nintendo Download in 2017 without a new NEOGEO game releasing for download. I am most excited for Axiom Verge, OXENFREE and Stardew Valley. 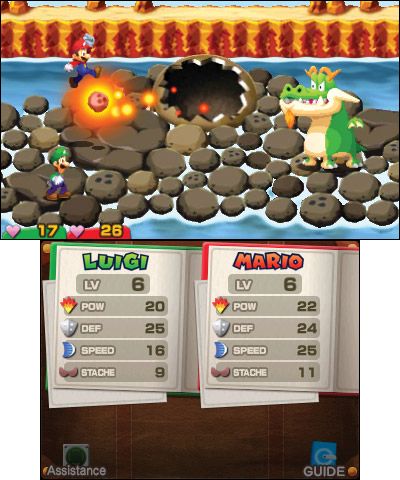 Mario and Luigi also looks incredible with a brand new mode. What do you plan to download? Will you explore the multiverse in Axiom Verge or settling into a quiet farm life in stardew Valley? Let us know in the comments!